This is the southern portion of the larger map Creeks of the East Bay, a regional map showing creeks from Martinez to Morgan Hill and Altamont Pass to San Francisco Bay. 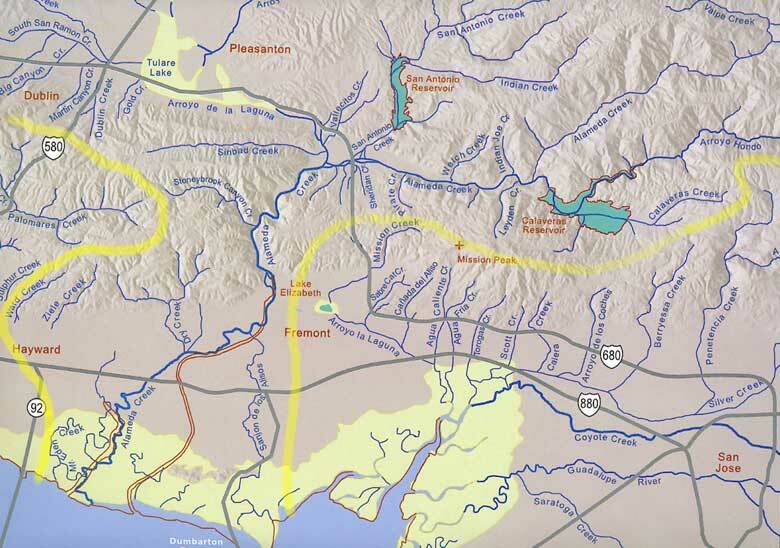 Highlighted in yellow is a portion of the Alameda Creek watershed. This is about one-half of the total area of this watershed.